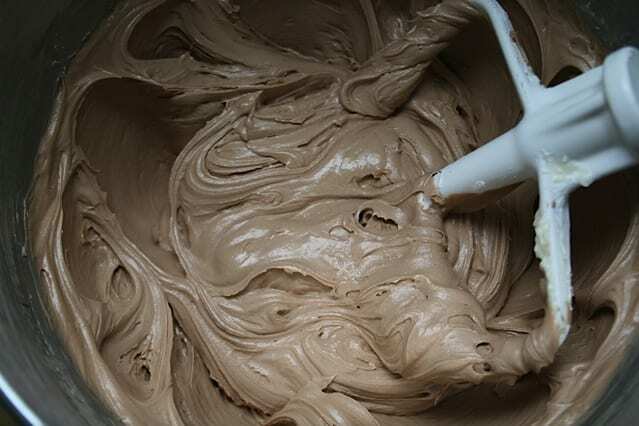 Starlight Double Delight or Grandma’s Chocolate Cake is a homemade chocolate cake topped with a chocolate mint buttercream frosting. 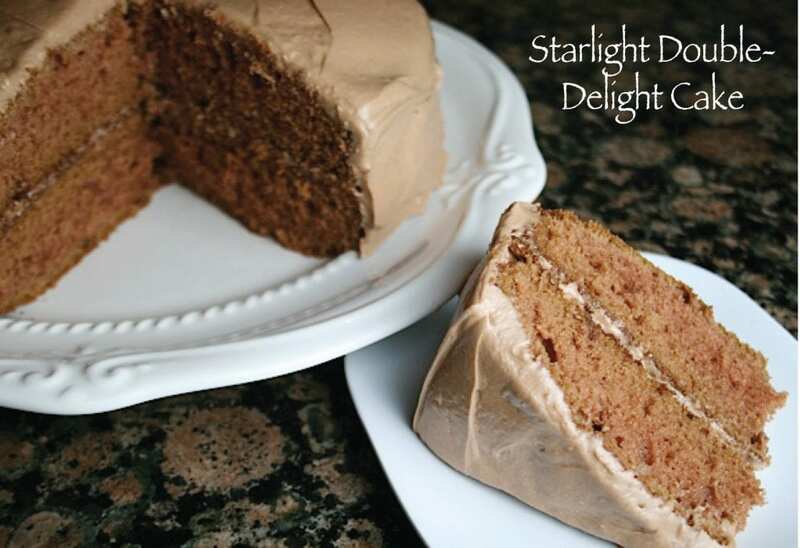 Starlight Double-Delight Cake – from the 3rd Pillsbury Bake-Off in 1951. 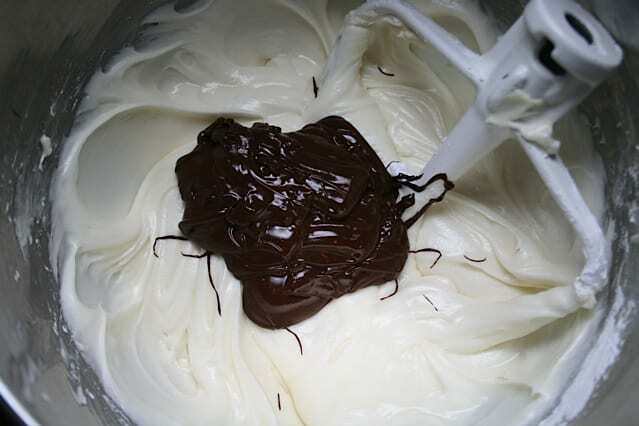 Recipe on Pillsbury.com by Helen Weston of La Jolla, California. 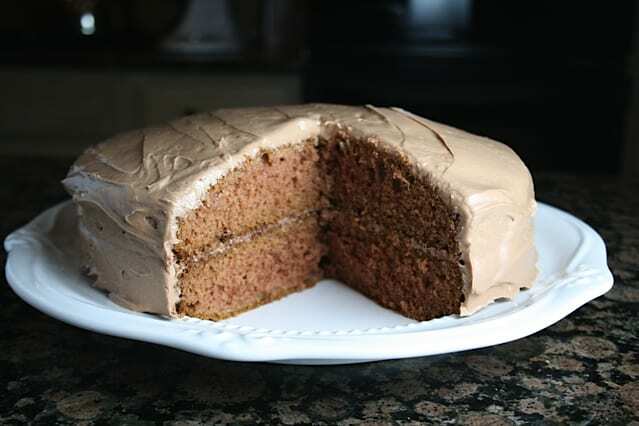 I also like to call it Grandma’s Chocolate Cake because that’s what it reminds me of. 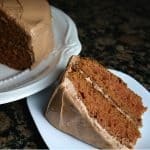 It’s one of my favorites of all the winning recipes from the Bake-Off! 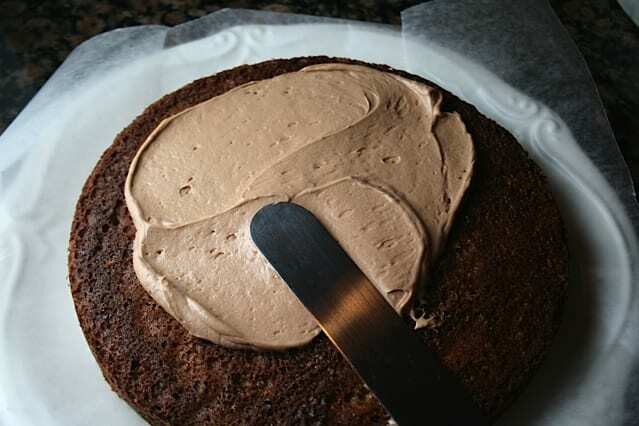 So right off the bat, I knew this recipe was a little different because you make the frosting first. 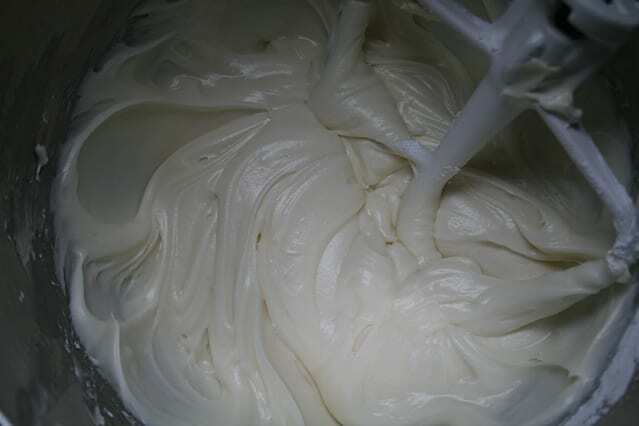 Start with cream cheese, butter, vanilla & peppermint flavoring. 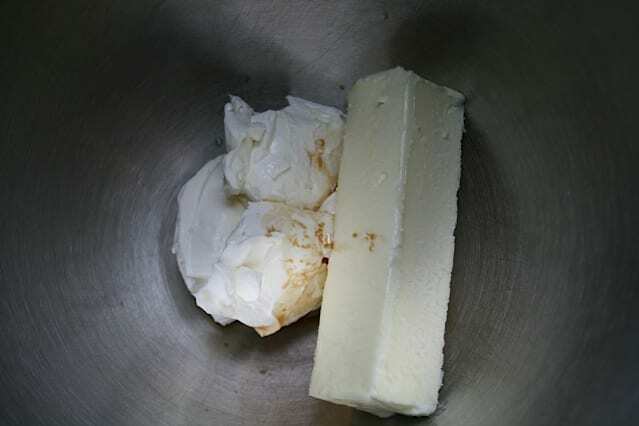 Mix the butter, cream cheese and flavorings, then add the powdered sugar and hot water.Beat well. 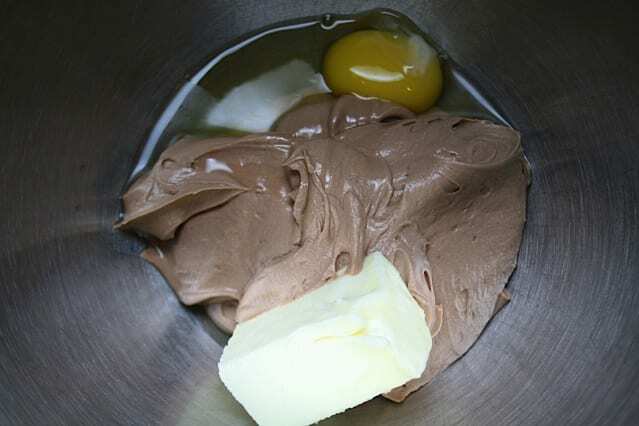 Add melted semi-sweet chocolate and mix well. And then you have Chocolate Mint Frosting. Yum! I could stop right there, but it needs a cake. 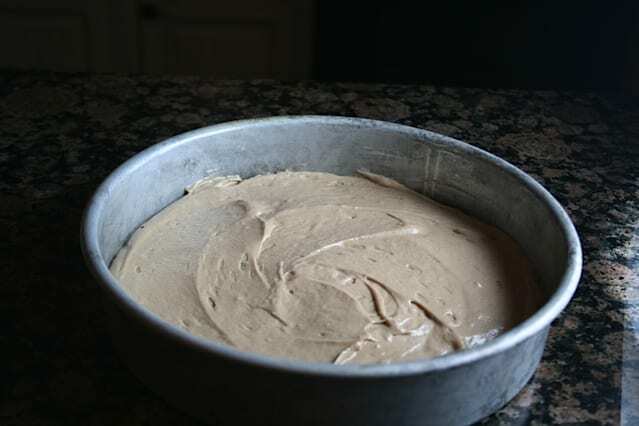 So the interesting thing about this cake is that you start the batter with 2 cups of frosting. Then add in the eggs and some butter. 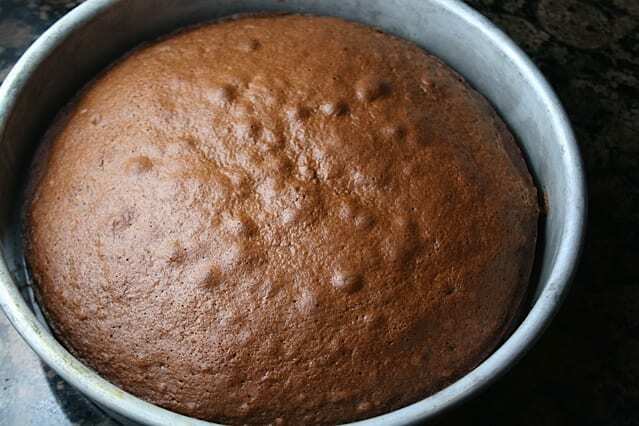 Bake the cakes for 30-40 minutes. Let cool 1 hour, then frost. Next weeks recipe is Snappy Turtle Cookies.